Click on pictures or through links on this page to see photo galleries. 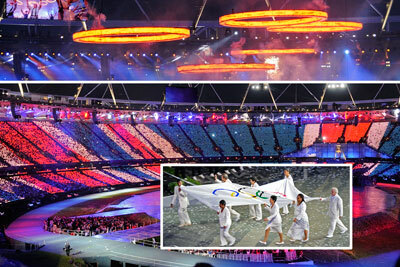 The Opening Ceremony of the London 2012 Olympics was an overwhelming spectacle of sight and sound. It began with a pastoral depiction of early rural Britain. Before our eyes, the scene transformed on a grand scale into the era of the industrial revolution and the Olympic rings were forged. Other major historical events unfolded, followed by the parade of nations and ultimately the lighting of the Olympic torch. 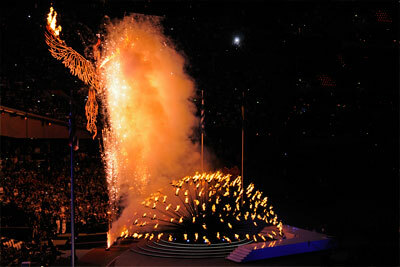 Here is a selection of images of sporting events that we attended. We witnessed world and Olympic records, a remarkable come-from-behind victory in men's volleyball, the first appearance by a Saudi Arabian woman athlete in the Olympic games, the final competitive Beach Volleyball match of Misty May-Treanor, and medal ceremonies. All of this took place in spectacular venues with enthusiastic crowds. 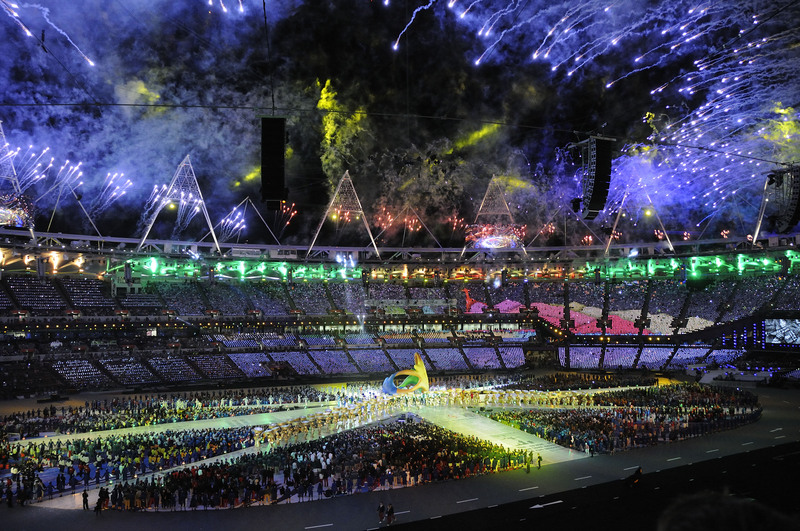 The Closing Ceremony was a tribute to the city of London, followed by the entry of the athletes and an all-star rock concert that included the Who, Queen, and the Spice Girls. Rio de Janeiro, the site of the next summer games, provided some entertainment after which the Olympic flame was extinguished. There were lots of fireworks and the stadium lights were played to full effect. Once you see the picture in the browser, right click on it and select "Save Picture As ..." to download a copy of the high resolution JPEG. If you download high resolution images, please send email to me at Jeff to describe your intended use. 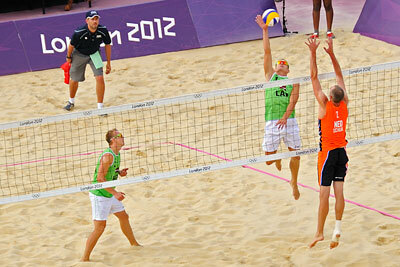 All photographs taken at London 2012 are Copyright ©2012 Jeffrey Barth, All Rights Reserved. Copyright ©1997 - 2012 Adam Barth and Jeffrey Barth, All Rights Reserved.